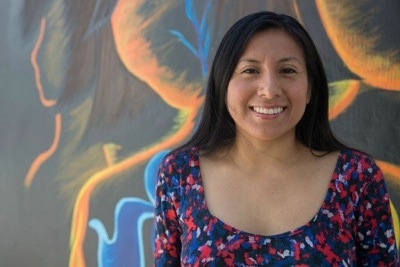 Support from the Fulbright Scholar Program will allow Martinez to spend nine months in Oaxaca, where she will conduct ethnographic interviews with members of the Zapotec and Mixtec communities. She is investigating connections between trauma and modern social inequalities, including involuntary migration, exploitation of natural resources, sexual abuse, and gender inequalities. At the center of her research are la tiricia and susto, illnesses associated in Oaxaca with perpetual sadness and lethargy. "I have two big questions: Is tiricia ever associated with migration, and if so, what do people say about how tiricia and migration impact each other?" explained Martinez. "And how do indigenous communities in Oaxaca practice healing in relation to sadness and pain caused by migrating or being left behind?" Martinez hopes to conduct in depth interviews with 20-30 Mixtecs and Zapotecs who possess knowledge la tiricia or susto. She also plans to observe indigenous medicine and healing practices, including sweat baths and other rituals, as part of her project. "It's heavy stuff," said Martinez. "That's why I want to balance learning about trauma with learning about healing." Martinez will incorporate her findings into her dissertation on Oaxacan cultural memory, trauma, and healing. "I'm so grateful for this support from the Fulbright program," said Martinez. "And yet, I'm deeply concerned about proposed cuts to the program." Martinez has spent the last two summers in Oaxaca. During one summer, she volunteered with an organization, Campamento Audiovisual Itinerante, that screened community-centered films, and sponsored workshops and outings. Martinez plans to host screenings of films that portray trauma stemming from social phenomena like poverty and forced migration as a way to draw community members into her project. She is looking forward to an extended stay that will allow her to develop relationships that will enrich her research. "There is scholarship about tiricia, but not about the Mixtec community's knowledge about this illness or how they respond to it," she added. Much of the existing academic literature examines the way neoliberal North American policies in the last 30 years have impacted the migration of Mixtec and Zapotec groups, causing many to migrate unwillingly, said Martinez. Recent literature has clearly demonstrated that migration deteriorates the mental health of Oaxacan communities. Martinez, who earned a B.A. in psychology and Spanish from Amherst College, calls the doctoral program in Latin American and Latino Studies "one of a kind." She plans to pursue a career in academia. Martinez will teach an LALS class on race, class, and gender this summer before leaving for Oaxaca in September.